With the Hybrid Island Initiative, Japan is committed to supporting island countries vulnerable to climate change. The launch is part of a “rideshare mission” organized by Spaceflight. The company said it purchased the rocket to accommodate clients, which range from schools to commercial businesses to government entities and international organizations.Sixty-four small satellites from 34 different organizations will be aboard, Spaceflight said. Some of the capsules containing the cremated remains that will be sent into space as part of Elysium Star 2. 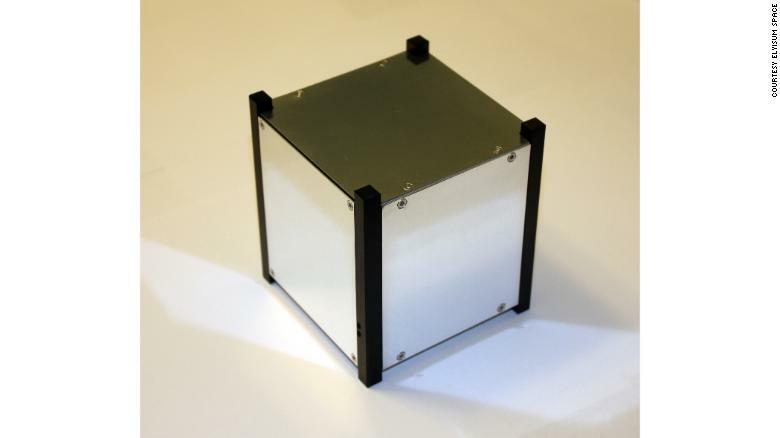 The Elysium Star 2 cubesat.